As a first step to launch a formal process towards our claim for Cardijn's canonisation, CCI-India launched a prayer campaign to Cardijn for a miracle. 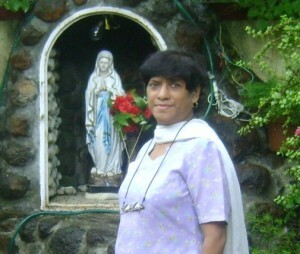 LIBERATA MENDONCA (Liby), a former YCW from Pune, India, wife of Dominic Mendonca, Collaborator to CCI-India is critically ill for over a month, unconscious and under life support. Her brain is damaged due to high BP and the doctors have given up hope. Only a miracle can save her. On her recovery, it is going to be the first documented proof of a miracle by Cardijn. CCI-India requests everyone to pray to Cardijn to save Liby. Fr. R. V. Mathias, former National Chaplain of YCW-India and International Chaplain of IYCW died at 02.30 a.m. on Thursday, 17th November 2011 at St. Paul's Seminary, Tiruchirapalli. The funeral will take place at the Cathedral Church, Melapudur, Trichy on the 18th November at 10.00 a.m.
RV as he was fondly called by everyone was a dynamic animator and a multi-talented personality. He earned the love and respect of the young and the old alike. He was ailing for sometime with various problems and recently underwent a surgery. He was also a diabetic. Though weak, he was constantly working till the end. 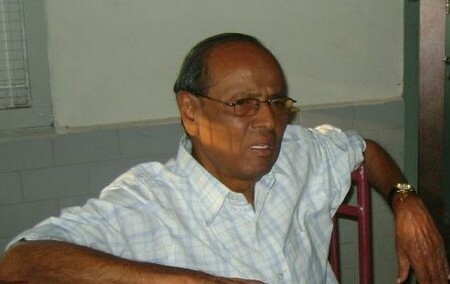 After his tenure at the Arulanandar College at Karumathur, Madurai he was on sabatical for a year. Poonamallee near Chennai along with Fr. Thomas Joseph. RV welcomed CCI to Trichy and offered his services particularly in training the animators. Ruben requested him to write down his testimony. 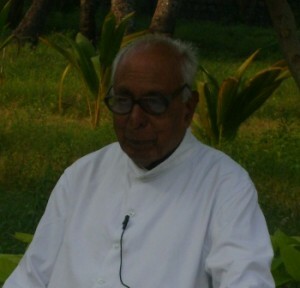 He was the Spiritual Father at St. Paul's Seminary, Tiruchirapalli for the past few months till his death. RV was born on 11th November 1938. In his death, we have lost yet another follower of Cardijn. The website of the CCI-India was officially launched by Fr. Thomas Joseph on the eve of Cardinal Cardijn's 129th birth anniversary at Chennai. Fr. Thomas Joseph started working as a Worker Chaplain in 1950 and has been active in the area of worker apostolate ever since. He is 92 years old and an active supporter of the Cardijn Community International-India. He was the Executive Secretary of the CBCI Labour Commission for over 21 years. He as YCW/CWM Chaplain at various levels. He launched the website while inaugurating the CCI-India General Assembly which is in session from November 11 to 13 at Pastoral Centre, Chennai. CCI India is discussing 'CORRUPTION' starting from their own lives with a theme 'CORRUPTION - in and around us'. This study is based on SEE JUDGE ACT method. At the General Assembly, CCI-India will formulate programs and policies for the coming years which includes an ambitious 3 year project to analyse the implementation of the spirit and decisions of Vatican II. Titled 'VATICAN II @ 50' the project envisages formation of a national forum comprising lay organisations, religious bodies/congregations, civil society organisations, NGOs, theologians, social activists and interested individuals. Similar forum is also formed at the international level by CCI. The national forum will study how far the 'social commitment' of the Church is alive and active since Vatican II besides analysing the role and place of the laity in the Church before placing new demands. Lay leaders and animators from different parts of India are attending the CCI General Assembly.